Now that Disney has released its vacation package rates for 2018, let’s talk about one of my favorite things to plan: a split stay at Walt Disney World! What exactly is a split stay? Here’s the short (and legitimately true) answer: it’s what happens when you can’t decide between all the amazing resorts that Disney has to offer! 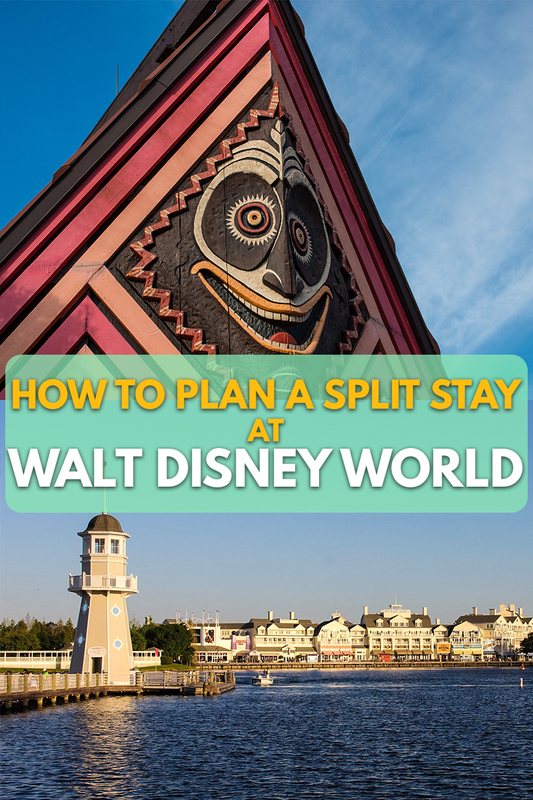 But in all seriousness, a split stay is a great option for those who are looking to experience more than one Disney resort in the same vacation. You essentially book two vacations at two different resorts and piece it together: check-in to one resort at the beginning of your vacation, and then transfer to another resort for the latter half of your stay. There are certainly some great advantages to a split stay. Every Disney resort is unique in its themes and experiences, so a split stay gives you a chance to see and explore more of what Disney to offer. Do you like the cool and modern experience of having a monorail zoom right inside your hotel? Don’t look further than the A-frame structure of Disney’s Contemporary Resort. But are you also intrigued by the idea of staying in a hotel inspired by the majestic Northwestern forest lodges at the turn of the century? You won’t be disappointed with the Wilderness Lodge. With a split stay, you can literally get the best of both worlds. Step 1: Book two separate reservations, one for Contemporary Resort (for the first part of your stay) and one for Wilderness Lodge (for the second part of your stay). Depending on the type of booking you are getting (room only versus vacation package), you will need to provide either a $200 deposit or a one-night stay deposit for each reservation. 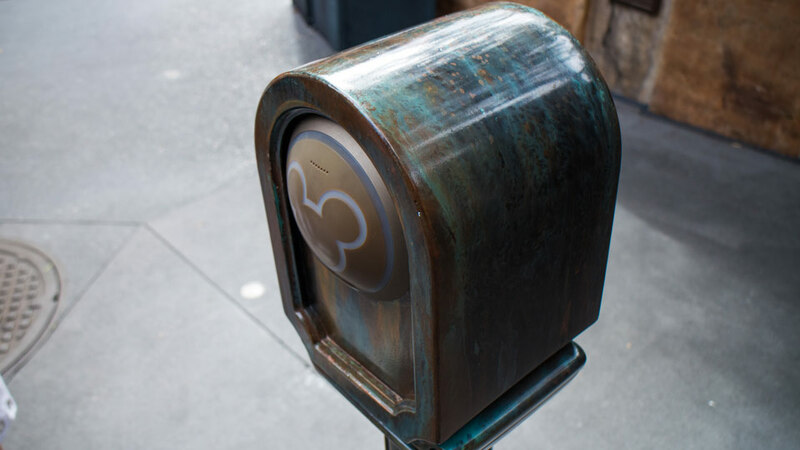 Once both reservations are booked, ask a Disney Cast Member to link both reservations. While the two reservations will still be separate, linking your bookings will allow Cast Members to discern more easily that it is a split stay. Step 2: Keep track of the balance payoff dates for both reservations. In this example, your payoff date for the Contemporary Resort will come first as it is based on your check-in date. Step 3: If you already have your flight information, make sure that you let Disney’s Magical Express know that your reservation for the Contemporary Resort will need to be used for your trip from the airport to the hotel. Also let them know that your reservation for the Wilderness Lodge will need to be used for your return trip from the hotel to the airport. You MAY need to keep track of two different booking windows for dining and FastPass+. Here are two key numbers to keep in mind whenever planning a Disney trip. You can book your dining reservations up to 180 days in advance, and you can book your FastPass+ selections up to 60 days in advance of your stay. What does that mean when you have a split stay? Advanced Dining Reservations (ADR’s): As a Disney resort guest, you have the ability to book dining reservations (as well as reservations for special experiences like Bibiddi Bobiddi Boutique or Pirates’ League) 180 days in advance for the entire length of your stay. Since you have two reservations, technically speaking, you will have two different “180-day” markers based on the two check-in dates. But this is where it gets a little tricky, because I have heard different accounts from Disney guests over time about this. Some Disney guests will swear that they are able to book dining for both reservations at the 180-day mark of their first reservation. And some others had to book during two different windows. With that in mind, just be prepared to plan at two separate windows. FastPass+: See above, the only difference being that booking opens at 60 days in advance of your check-in date. Disney will take care of transferring your luggage. That’s right, you won’t have to worry about lugging your suitcases and souvenirs to the Wilderness Lodge; Disney will take care of that for you. 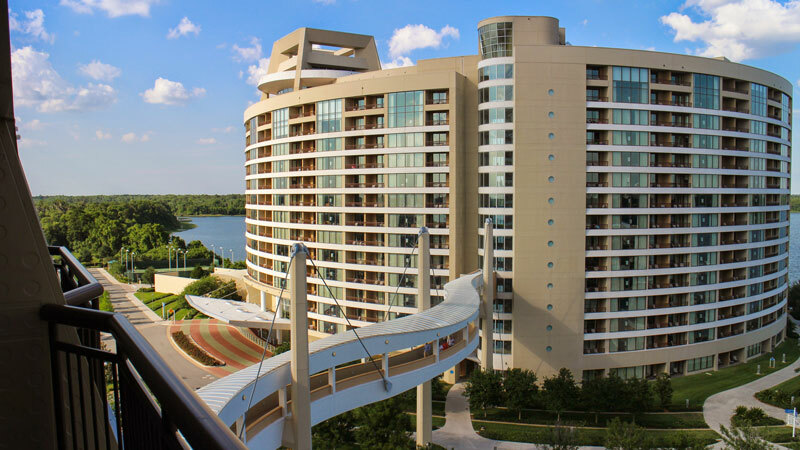 All you need to do is pack your belongings and call the Contemporary Resort Bell Services to let them know that you are transferring to another Disney resort. They will pick-up your luggage and tag it with your information, and then move it to the Wilderness Lodge Bell Services. When you check-in to the Wilderness Lodge, just put in a call to their Bell Services desk and they will have your luggage delivered to your room. Easy peasy. What my family typically does is we leave our suitcases for transfer, go to the parks, and then check-in to our next resort at the end of the day to be sure that our luggage will already have been transferred (as the process does take a few hours). If you are purchasing theme park tickets, include them in your first reservation and buy it for the entire length of your stay. If you buy a ticket with more days on it, you also pay a lesser cost per day. Let’s take a look at current pricing based on the Walt Disney World website. A 3-day ticket with park hopper option for an adult costs $349.00 (excluding taxes). That’s a cost of $116.33 per day. A 6-day ticket with park hopper option for an adult, on the other hand, costs $465.00 (excluding taxes). That’s $77.50 per day! So, instead of buying, say, 3-day tickets for your Contemporary stay and then doing another 3-day tickets for your Wilderness Lodge booking, you should add 6-day tickets to your Contemporary Resort stay – and enjoy significant savings. Be aware of certain rules with respect to promotions. Disney will put out promotions that have a requirement to purchase tickets – for instance, a stay/play/dine package or Free Dining. If you are adding the same type of package for both reservations, then you will have to factor in the additional cost of buying two separate sets of tickets (see above) compared to the savings you will receive as part of the promotion. What I would suggest in this case is to consider adding the promotion with the ticket requirement at the beginning of your stay, and then doing a room-only promotion (without a ticket purchase requirement) for the second half of your stay, so you can retain the lower cost per day of theme park tickets. This is probably the trickiest part of planning a split stay as it will require a careful evaluation of each promotion to determine which promotion you should tie to which reservation to make it the most cost-effective for your trip. What do you think? Are you ready to book a split stay for your next vacation to Disney? If you have planned a split stay before, what other tips do you have that we may have missed? Sound off in the comments below! Want to book a split stay but want someone else to handle all the details? Not to worry, that’s why I’m here! As Guide2WDW’s resident travel agent, it is my job to plan as much of your trip as you would like, from booking your resort to securing advanced dining reservations to securing FastPass+ for your favorite rides. I have planned many split stays for my clients and would be happy to go over the options with you for your next trip. Just give me a call at (920) 526-0809 or email me at myra@worldofmagictravel.com to get started! We booked a split stay in order to save money. We stayed at a Value resort over the weekend when rates are higher, then switched to a Deluxe resort on Sunday when rates go back down. We had two separate 180-day windows and two separate 60-day windows for ADRs and FastPasses.